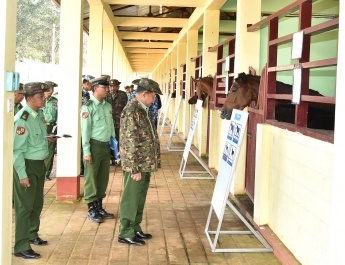 Commander-in-Chief of Defence Services Senior General Min Aung Hlaing in accompany with his wife Daw Kyu Kyu Hla, Union Minister for Border Affairs Lt-Gen Ye Aung, Commander-in-Chief (Navy) Admiral Tin Aung San, Commander-in-Chief (Air) General Maung Maung Kyaw, senior military officers from the Office of the Commander-in-Chief (Army), Northern Command Commander Maj-Gen Teza Kyaw and officials arrived in Nagmon Town, Putao District, Kachin State,this afternoon and they were welcomed there by departmental officials, town elders, local people and members of local people’s militia. 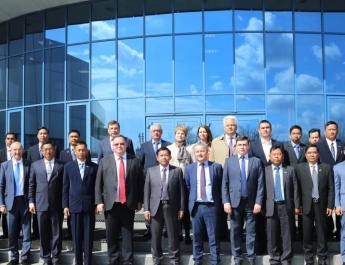 The Senior General met with town elders, ethnic locals, departmental officials and members of local people’s militia and discussed regional development tasks. The township administrator reported on salient points on Nagmon Township, road transport situation, regional development work and requirements. 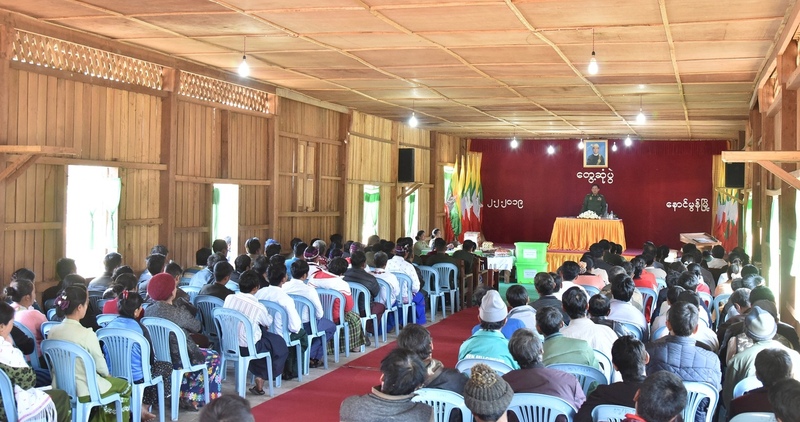 A town elder reported on road transport difficulties in the region and expressed thanks to the government and the Tatmadaw for their assistance for regional development. Next, the Senior General gave advice on regional development work. Then, the Senior General and party left Nagmon Town by car and inspected progress in construction of Magweza-Khaunglanphu road. 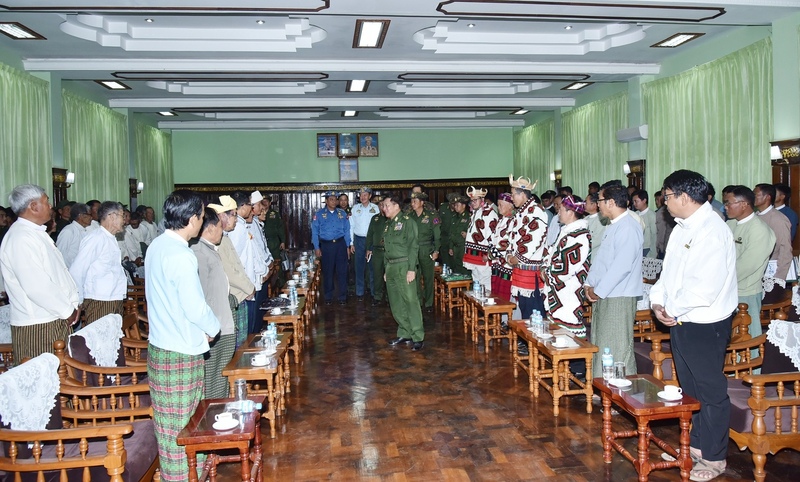 In the evening, the Senior General met departmental officials, town elders, ethnic leaders, war veterans and members of local people’s militia in Putao District and discussed regional development work. 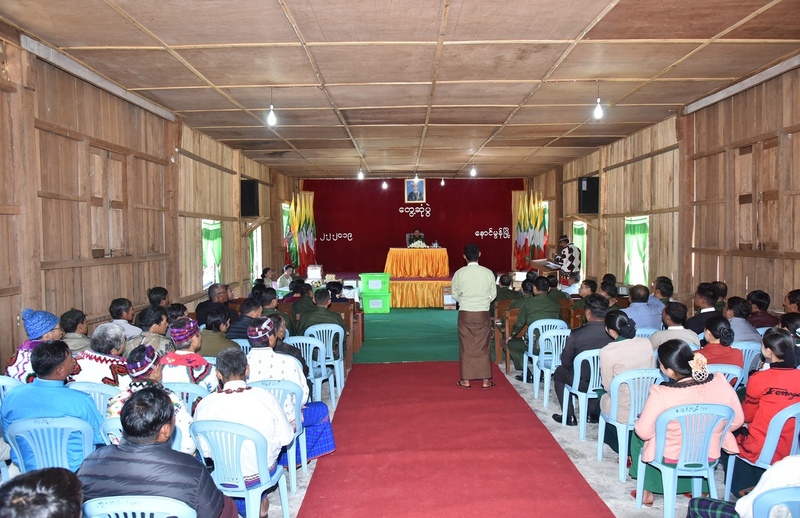 The ethnic leaders, war veterans, members of local people’s militia and departmental officials presented regional requirements. 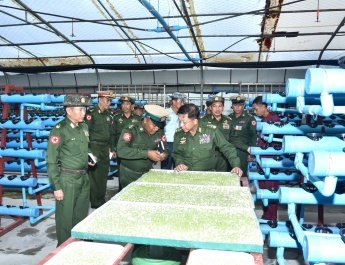 At the meetings, the Senior General stressed the need to increase per-acre yield of paddy more than extension of sown acreage for ensuring local food sufficiency, properly use quality seeds, land, water and agricultural techniques, extend agriculture and livestock tasks in order to produce finished goods as the region enjoys supply of electricity, seek ways and means for producing finished goods from agricultural tasks such as cultivation of coffee and tea, turn out local educated persons for operating agriculture- and livestock breeding-based businesses, try to ensure all school age children learn education,avoid betel quid, cigarette, alcohol and indulgence, not to accept narcotic drugs in the region through collaborative efforts, and systematically draw the town plans for Putao and Nagmon to have development. The Senior General said that armed ethnic groups need to hold peace talks in line with the statement issued by the Tatmadaw on 21 December 2018 for the peace. The Tatmadaw focuses on State affairs, regional development, and peace and stability but politics. However, the Tatmadaw will not totally accept any issues on integration of the Union and secession from the Union. All the laws enacted by the State are not for single one, and every citizen is responsible for abiding by the existing laws. 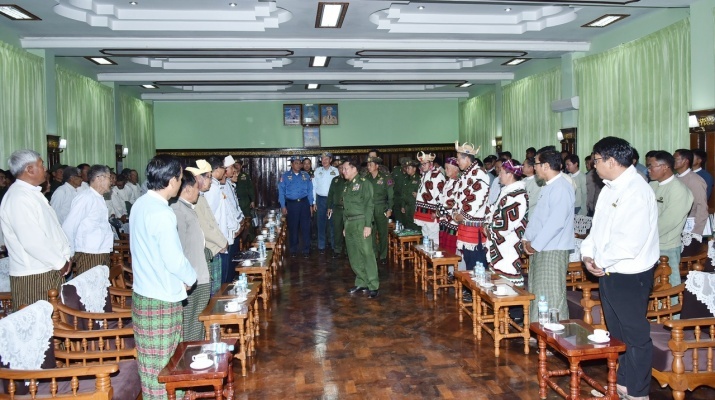 The Senior General urged all ethnics to carry out development of their regions and the country and culture the spirit of Myanmar with unity and attachment, and then reviewed the reports submitted by local people and departmental officials. 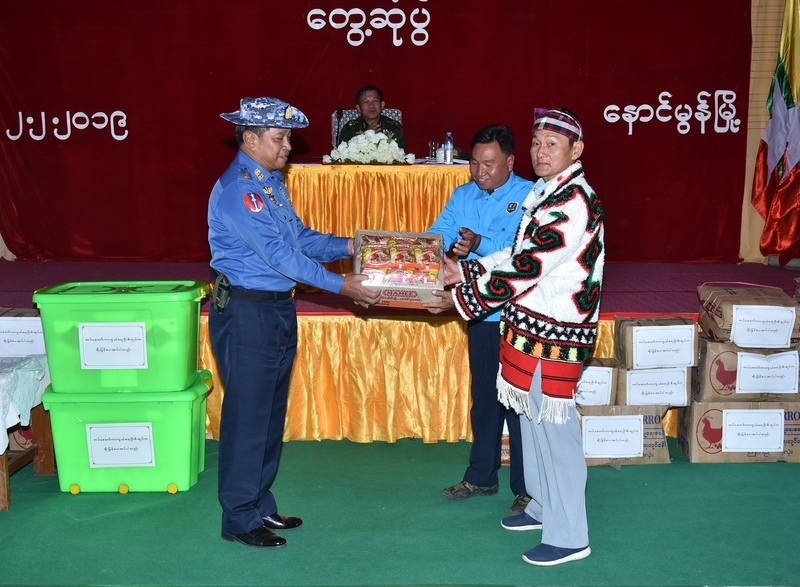 After the meetings, the Senior General,the Union Minister and party presented foodstuffs to local ethnics, departmental officials and members of local people’s militia and cordially greeted them.